I've been looking forward to the next move from UK producer Labrinth since I heard the beat drop for the first time on Yasmin's excellent single "Finish Line," a finalist for this year's Popjustice 20 Quid Prize. What was remarkable about "Finish Line" was how Labrinth's production was anything but transparent - I was moved to actively seek him out - while neither did that mean that Yasmin therefore became part of the production as a tool for his artistic project. Her vocal performance and his production played more as a duet, one pulling back whenever the other had the main, which they passed back and forth to one another like ball players. In "Earthquake," the soaring second single from the 22 year old, Labrinth plays a different sort of game with rapper Tinie Tempah, his star player of sorts and a finalist for this year's Mercury Prize for debut album Disc-Overy. The two collaborated on three of the hits from Tempah's album, and critics have praised how Labrinth's fresh, genre-blending production serves as sturdy support for Tempah's reference-heavy, joke-laden lyrics and whirlwind delivery, never drawing focus from the star of the show yet still managing to be actively fascinating underneath it all. This time, the rapper provides his old producer the kind of support he's best suited for and the chemistry and collaborative energy with the two of them is palpable. The lyrics are occasionally intriguing as well, especially on the second verse which (and this was entirely coincidental, I promise you) name-drops Simon Cowell just like the new Luciana single I just posted prior to this. 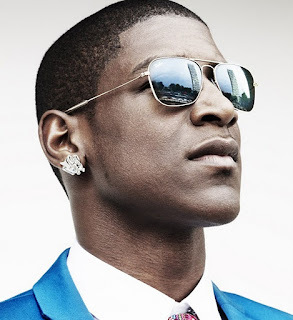 Cowell signed Labrinth to his label SyCo in 2010 following a bidding war that erupted in the wake of Tinie Tempah's success (Labrinth produced and wrote the first two singles from Disc-Overy, "Pass Out" and "Frisky," which hit #1 and #2 respectively) his first and second single. While most labels had offered contracts as a producer, Cowell instead signed him as a solo act. I'm pretty certain that "Earthquake" is just going to be another reason for Simon to look down his nose at the rest of us plebeians...and as long as he keep bringing artists like Labrinth into my world I am absolutely ok with that.